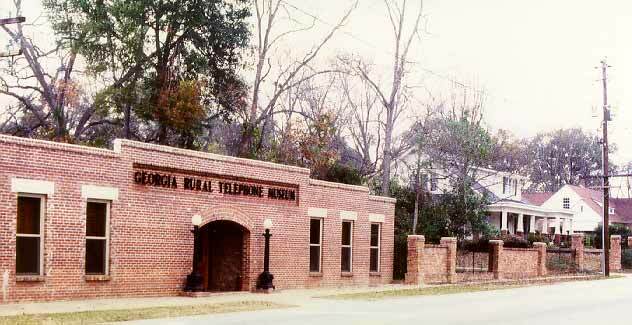 Housed in a former cotton warehouse built in 1911 across State Road 195 from the Citizen's Telephone Company building is Tommy C. Smith's Georgia Rural Telephone Museum which officially opened October 5, 1995. In its 18,000 square feet space are displayed about 2000 telephones and other communications equipment dating back to the 1800's when Alexander Graham Bell and others began developing such devices. Take the tour by clicking on the arrow below.